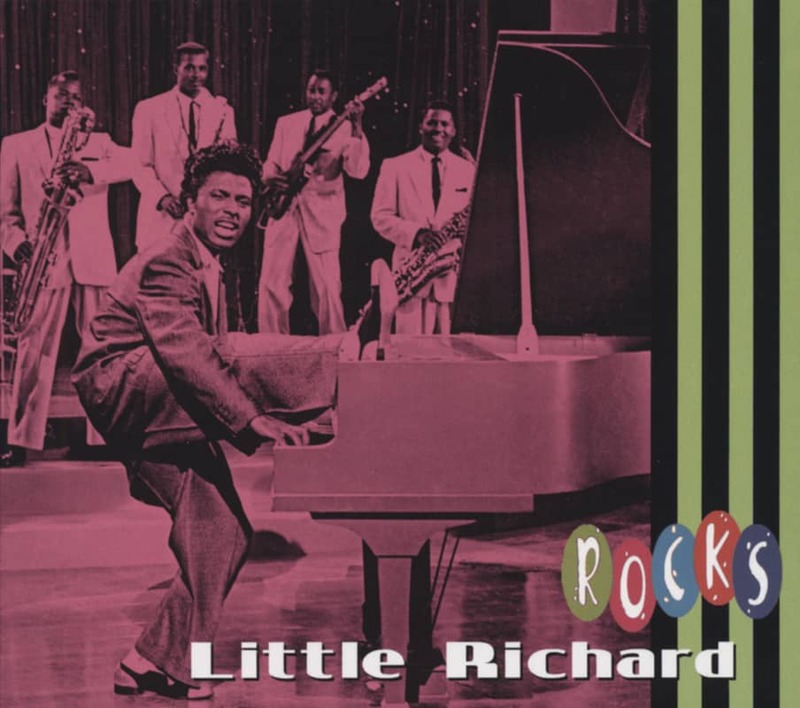 LaBostrie, and the atomic-powered energy was coming right from the man himself, backed by players from Fats Domino's band. The revolution starts here. 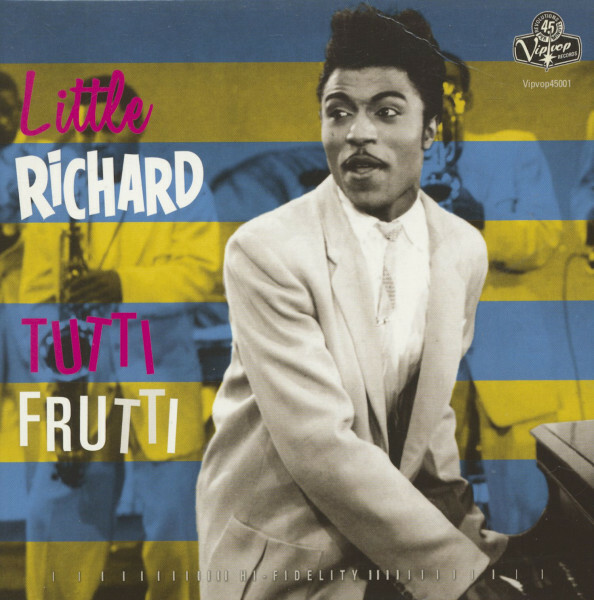 Richard returned to Cosimo's studio on May 9, 1956, with the same musicians, where alongside threeother tracks he recorded Ready Teddy, a hundred-mile-an-hour blizzard of contemporary hip-speak about flat-top cats and dungaree dolls. 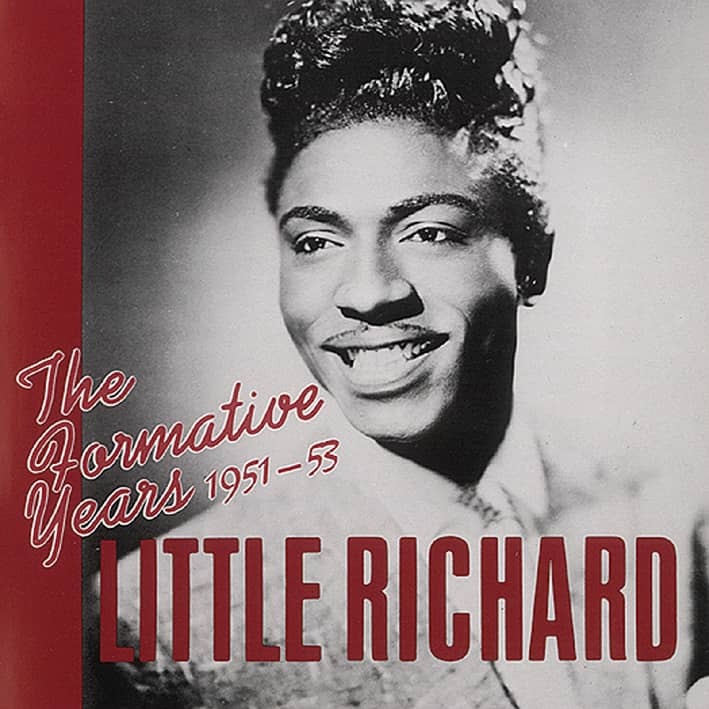 The song was co-written by producer Bumps Blackwell and John Marascalco, who between them composed a fistful of Little Richard's early hits. As the year ended, the man himself could be seen in full colour Cinemascope belting it out in a nightclub in the finest rock'n'roll film of them all, The Girl Can't Help It. 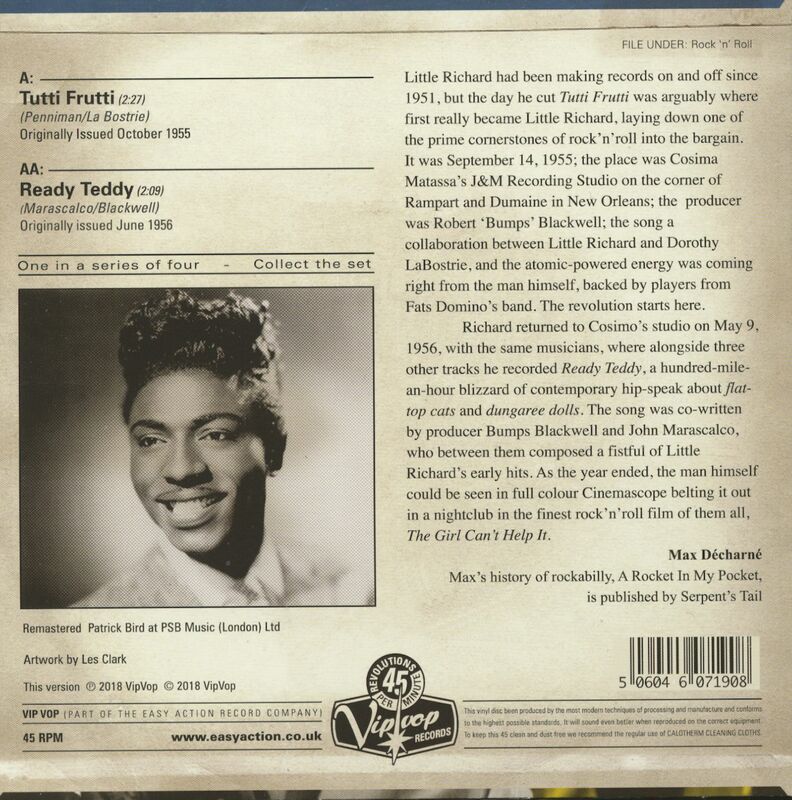 Customer evaluation for "Tutti Frutti - Ready Teddy (7inch, 45rpm, PS)"